Photo report from the Israel where the Syneron & Candela latest aesthetic medicine technologies were studied in detail! 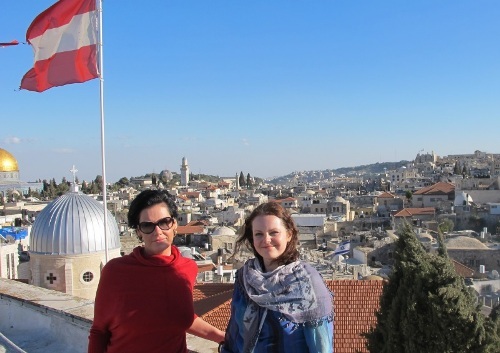 In March our dermatologists Kristīne Cīrule and Līga Jaceviča visited Israel to study the Syneron & Candela latest aesthetic medicine technologies in detail. They are included in the arsenal of the Aesthetic Dermatology Clinic EDK for two months already. Israel showed great hospitality and delighted with wonderful weather all week long. Before this dynamic training week our doctors visited Jerusalem and enjoyed charm and magic of this holy city. Theoretic part of the training took place in the city of Yokneam Illit, central office and clinic of the Syneron & Candelain, in a hospitable and professional atmosphere. Our doctors had the chance to learn new knowledge and share experience with the Israel’s top specialists in the aesthetic medicine field. Latest methods for solving the blood vessels and redundant hair problem were mastered in the private clinic of dermatologist Dr. Lapidot, under the supervision of Dr. Hachmi. Experience in working with the Elos system devices and Core lasers for solving the skin aging problems were acquired in the laser clinic of Dr. Tal Nachlieli. Newly mastered skills were passed on to other doctors of the clinic and are being of active use in the Clinic of Dermatology and Surgery.